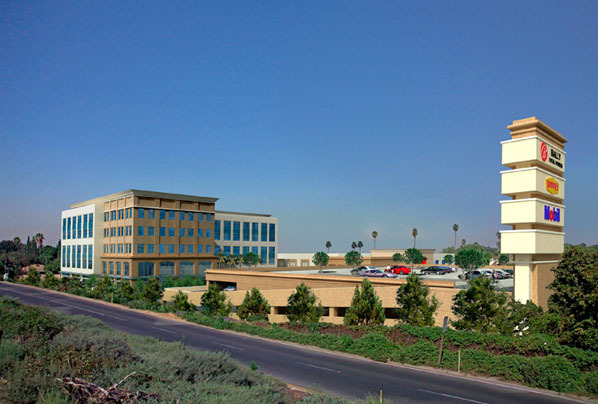 Madison Plaza is an 8.5 acre commercial site located On Madison Street adjacent to State Highway 91 (Riverside Freeway). 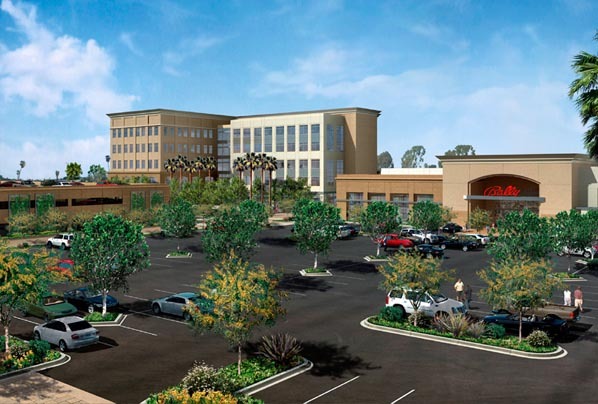 The phased project involves the relocation of an existing, 35,000 square foot Bally Spa to a new location on site and building a 115,000 square foot, 5-story professional office building and 3-story parking structure in the original Bally location. Relocation of an existing Denny’s restaurant to a new location and addition of a new 5,000 square retail building occupy the Madison Street frontage. Phased construction and design require that neither the Bally Spa nor Denny’s experience any down time during the relocation. Construction documents were completed on time and bids for construction have come in on budget. Construction is scheduled to begin in summer 2009.